KAMPALA – Former Security Minister Lt. Gen. Henry Tumukunde is now meeting different groups within the city before he announces his bid for the Lord Mayor of Kampala. Gen. Tumukunde, who has reportedly decided to go for the top prize of Kampala, has reportedly met both the ruling NRM party and opposition groups as he gathers perspectives on which ticket to run. A meeting with former NRM party Kampala Mayoral flag bearer Daniel Kazibwe, commonly known as Ragga Dee was scheduled to happen at the weekend, sources said. Sources close to the general, who was dropped from Cabinet last year say he is preparing to announce his bid in the coming days, on an independent ticket, a move that would jolt authorities in the ruling NRM party who consider him their own. 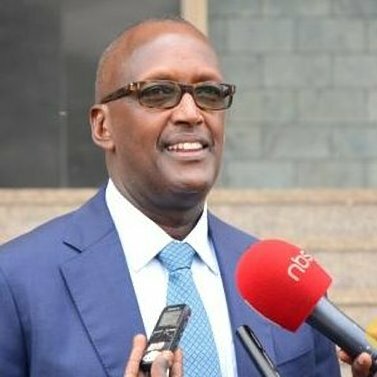 Gen. Tumukunde, who has since kept a low profile since he left Cabinet last year has not been available for comment since this story broke earlier in the week but senior presidential advisor Mr Tamale Mirundi said during his TV punditry appearance on Thursday morning;- “I have it on good authority that he will run for Lord Mayor of Kampala”. It is understood that the current Lord Mayor, opposition strongman Erias Lukwago has decided to shift his interests and depose Nobert Mao from the opposition Democratic Party top seat and run for President on the DP ticket. Gen. Tumukunde’s strategists are confident the suave former spy chief will use the opportunity to present a uniting candidature for the seat that has given the ruling NRM party candidates a torrid time. Close associates say Gen. Tumukunde will seek to run as an independent, a position that would enhance his appeal among the Kampala voters, usually trigger happy shooting down NRM candidates.